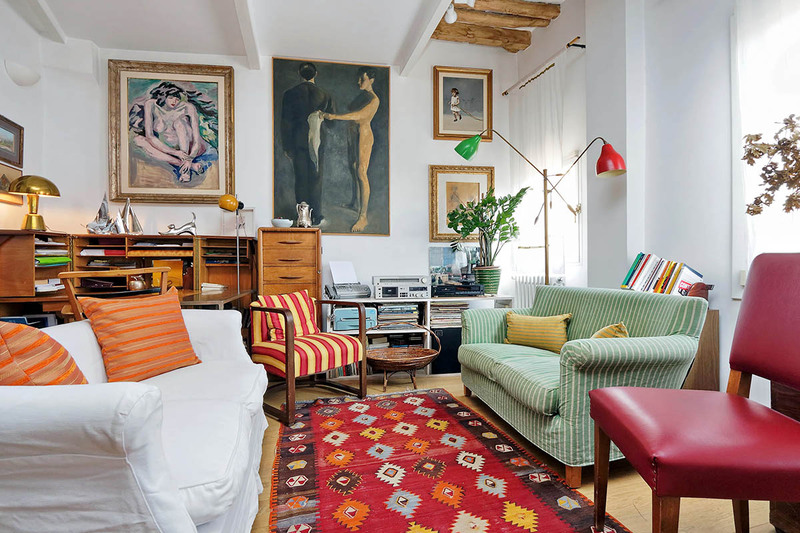 Very personal and artistic space. 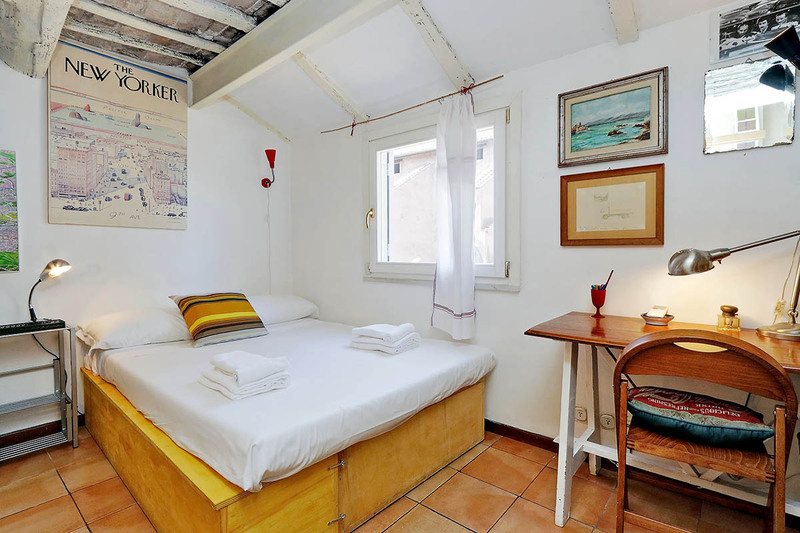 Ingenious use of small rooms, definitely not for small children but lovely for curious adults. Terraces were perfect. Make SURE all windows locked before setting the alarm system which was a little anxiety inducing. 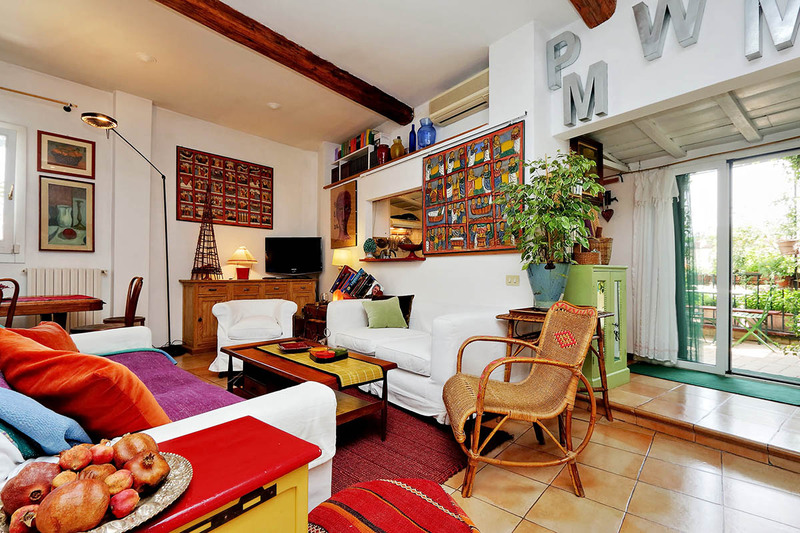 Great location and spacious apartment offering lots of room to relax and enjoy our stay. Well appointed with comfortable beds. 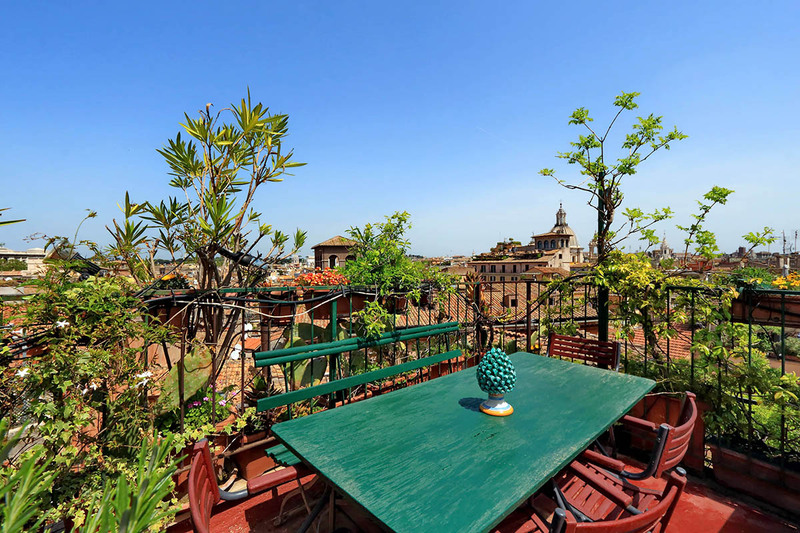 This gorgeous Navona terrace penthouse is a not-to-miss place: enchanting private terraces with views, plants, and outside furniture make this a very special spot. 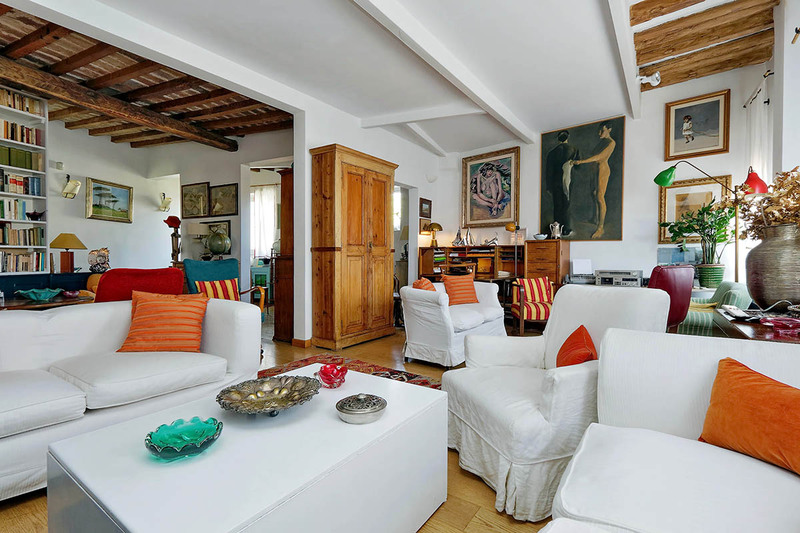 Situated on the 4th floor of an ancient building with an elevator, this charming apartment stands on 3 levels. 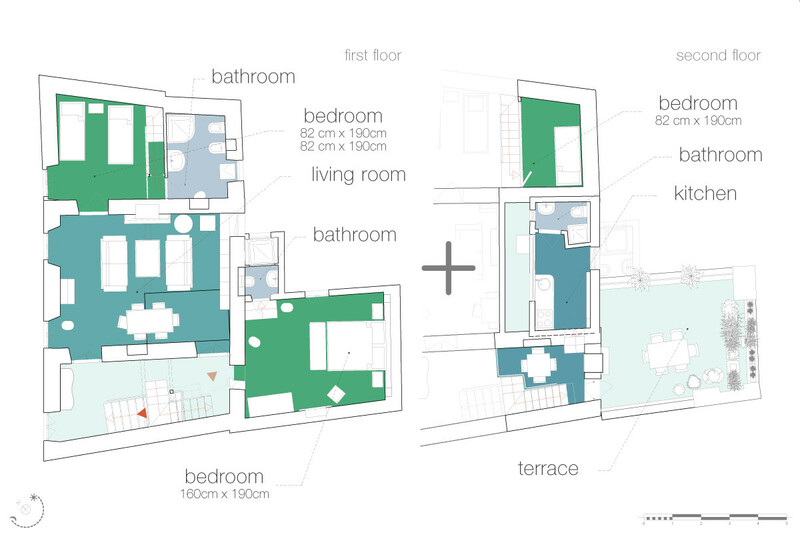 Coming out of the elevator, there is a flight of stairs (about 8 steps) to the first level of your home. 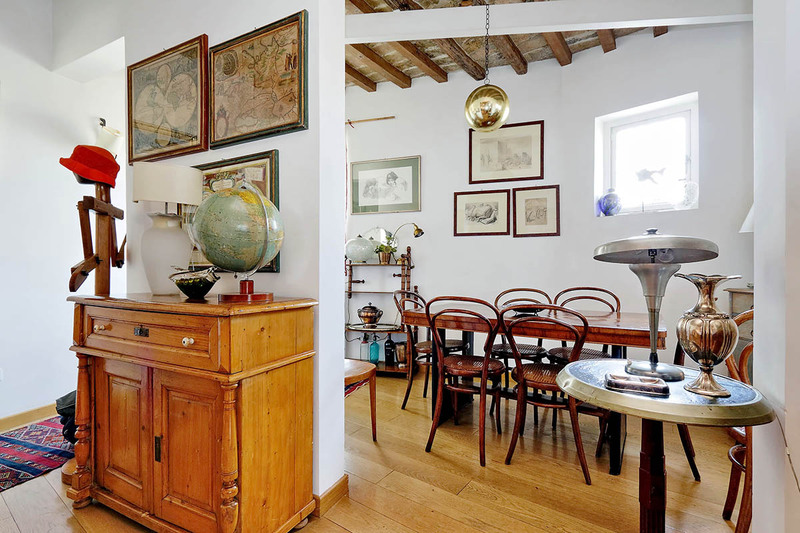 There, you’ll find a large living area, with several comfortable sitting areas with pillows, lamps, a rich library, a wooden table with chairs and plenty of paintings, all souvenirs of past trips. There, you will also find a comfortable day bed. 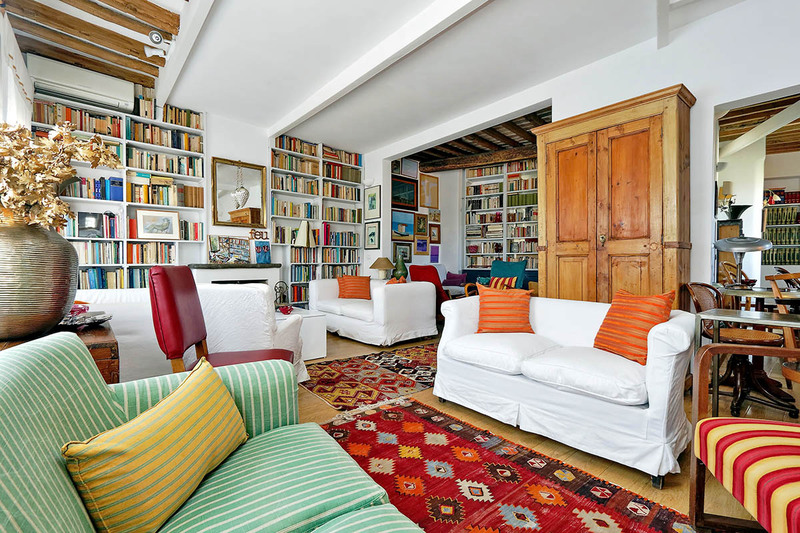 A stone staircase (about 10 steps) leads you to the second level, where you have a second living area, with nice sofas, a coffee table, a lovely rocking chair, Ethiopian paintings telling the story of the Queen of Sheba, a flat 32″ TV, and a DVD player. 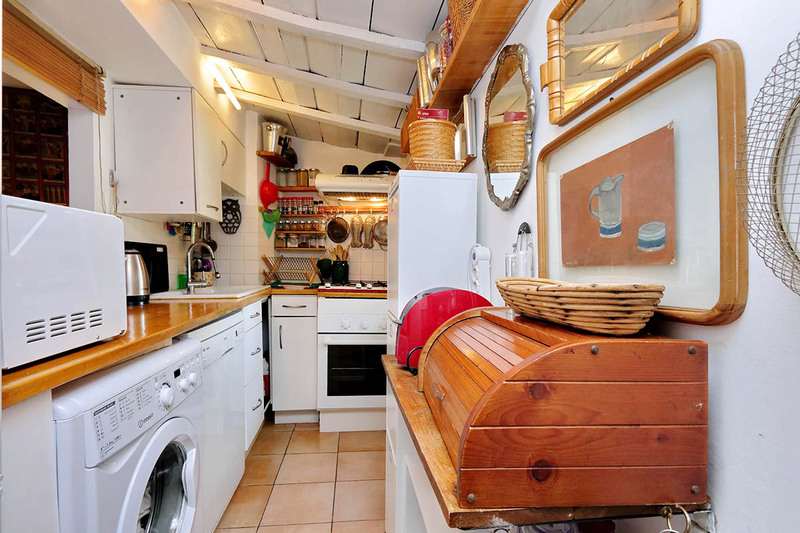 Here, you will also find the fully equipped kitchen, with a gas stove, an oven, a microwave, a fridge, a freezer, a dish washer, a toaster and a washing machine. 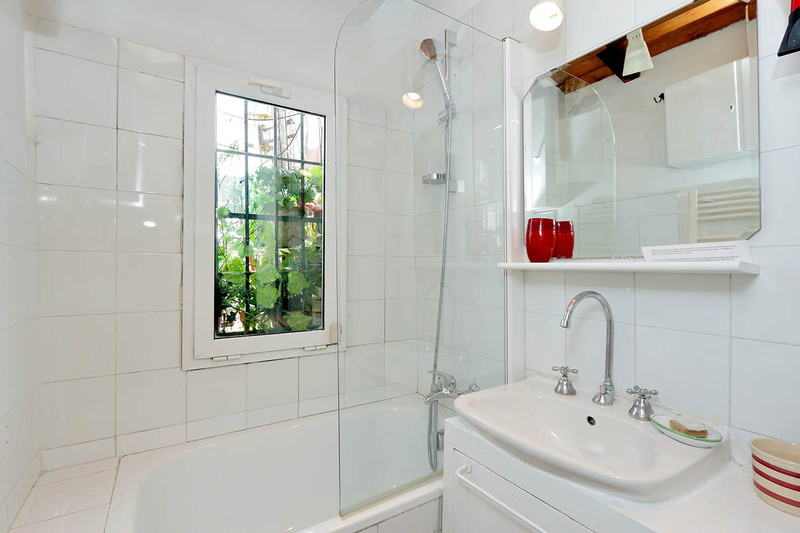 Next to the kitchen, there is a bathroom with a small bathtub. 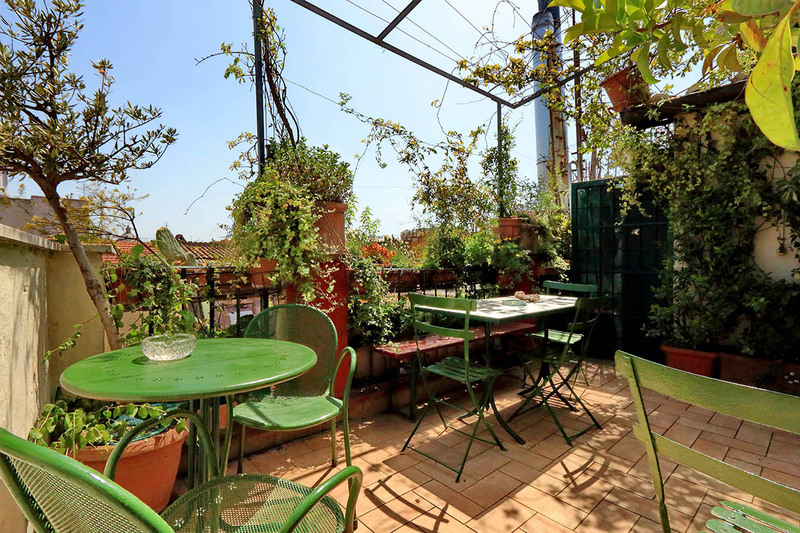 And in front of the kitchen, you have access to the first terrace, furnished with a large table with chairs and lots of plants. 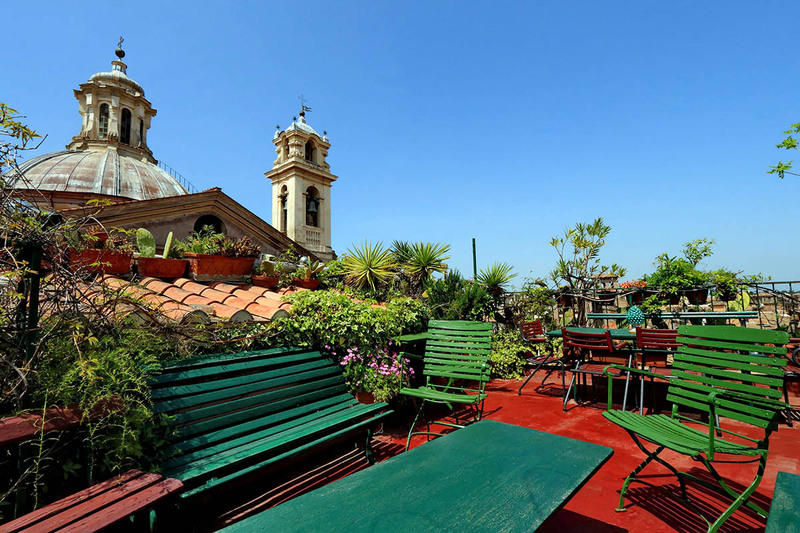 The terrace has a winding staircase that leads you to the top terrace, which is sure to take your breath away, with its plants, flowers, comfortable benches, and 360º of views over the Eternal City. 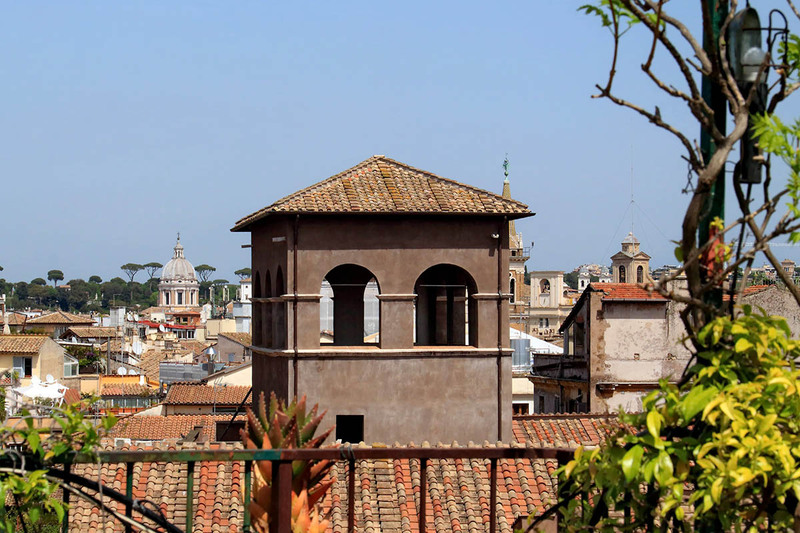 In fact, you can take a tour of Rome from the comfort of your terraces! 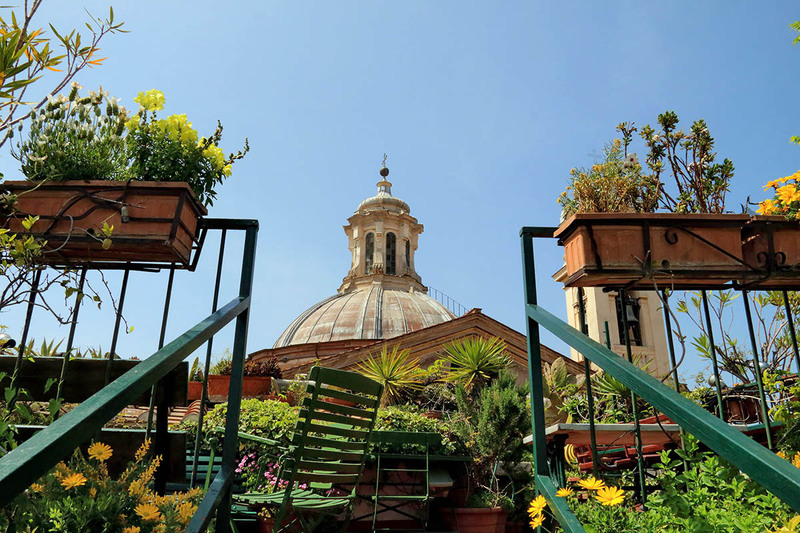 The cupola before your eyes belongs to the church called “Chiesa Nuova”. 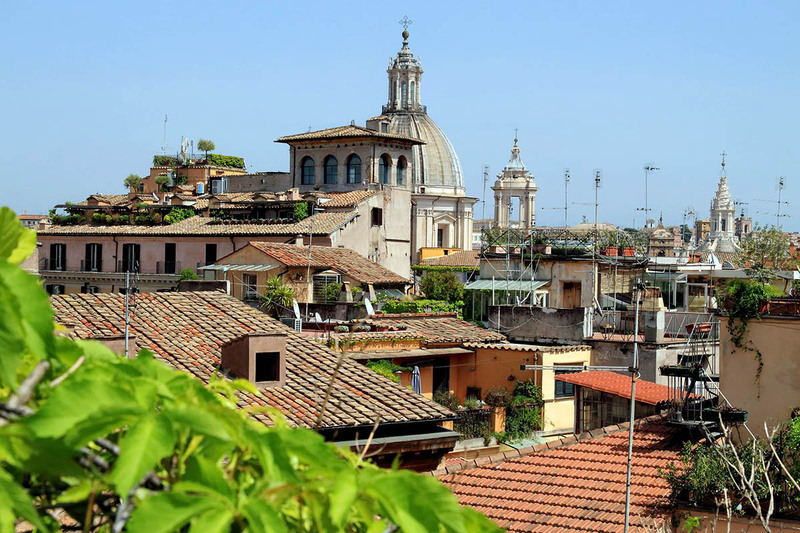 You’ll also see Villa Borghese, Castel Sant’Angelo, the Pantheon, the Chiostro del Bramante, the church of Trinità dei Monti and the basilica of Santa Maria del Popolo in Piazza del Popolo. You can’t imagine the show that takes place in the sky on New Year’s Eve. There are 360° of fireworks. From your terrace, you can see the fireworks of all the areas of the city. Something quite spectacular! The first bedroom has a king size bed. 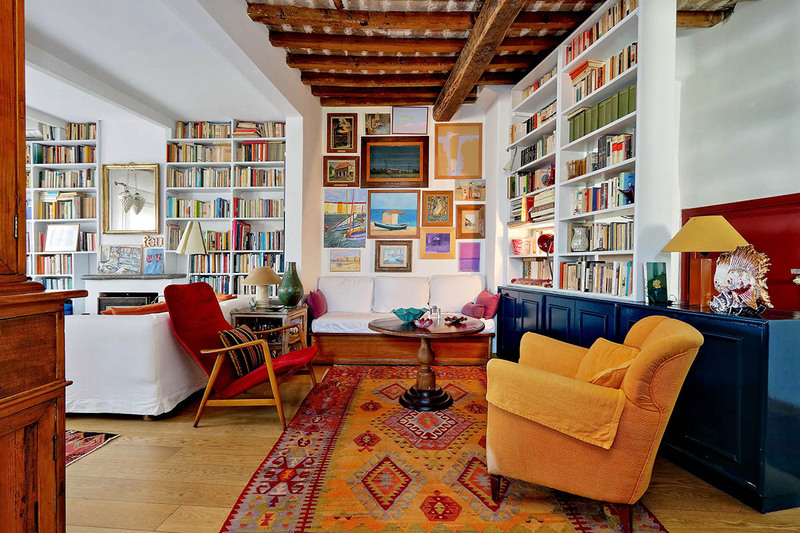 It is not a large bedroom but it is most certainly cozy, decorated with books and paintings. 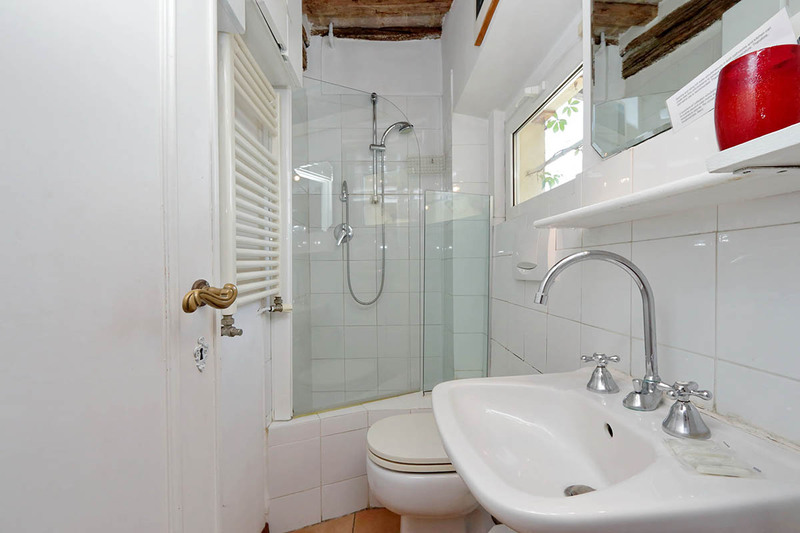 Next to it, you have a bathroom complete with a shower. 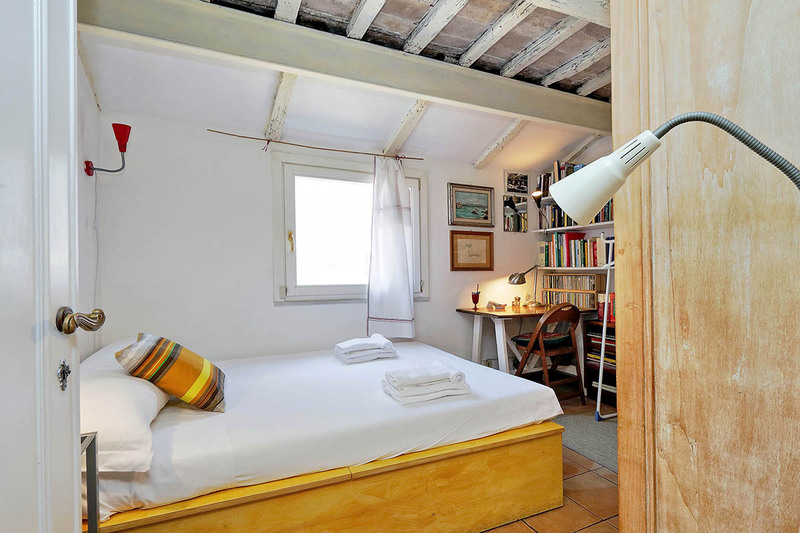 Up 10 steps, there is the attic bedroom, which once was a turret. 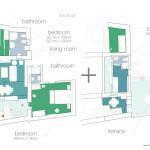 It offers a double bed. 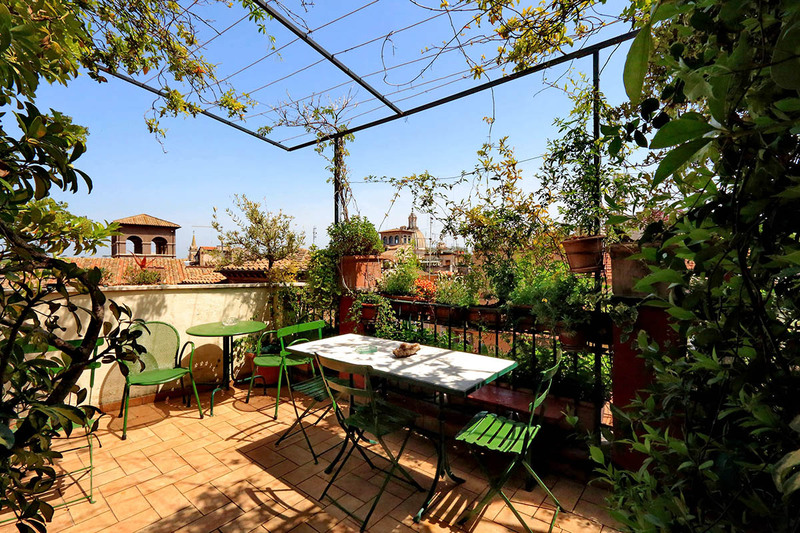 From here, you can also enjoy special views of the city. 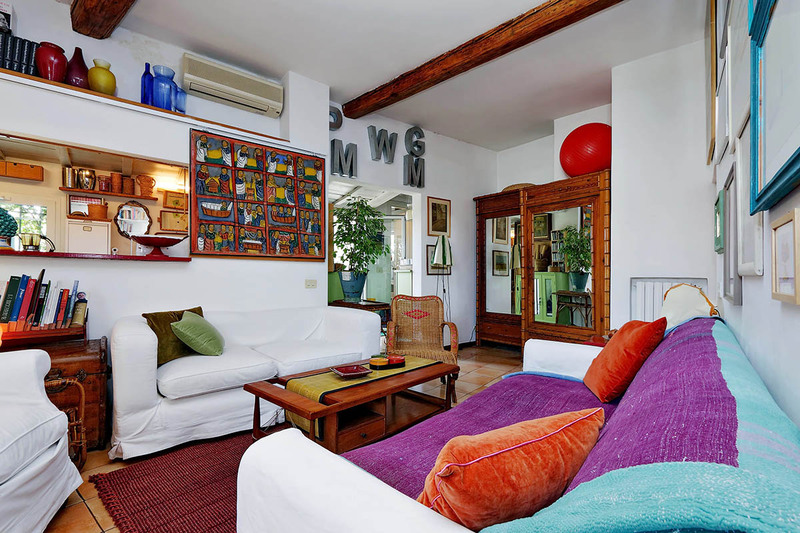 The entire apartment has central heating, air conditioning units and Wi-Fi Internet access. 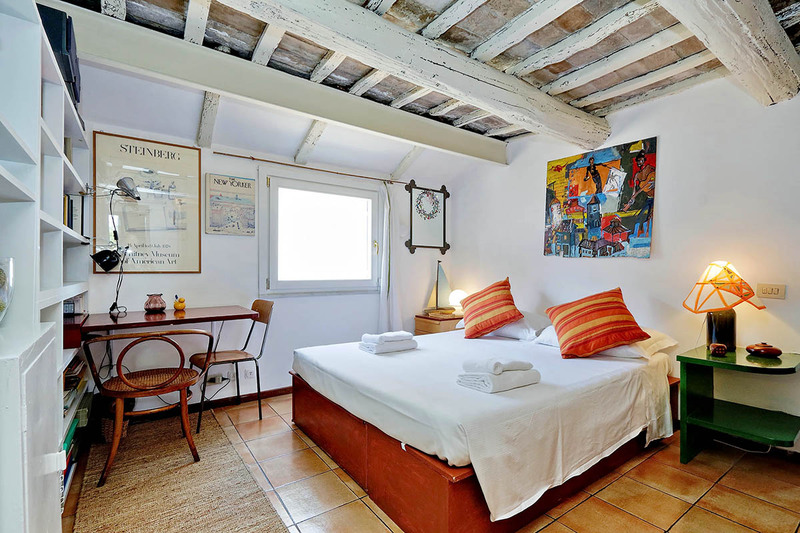 Your Navona apartment is sure to make your stay an unforgettable one. 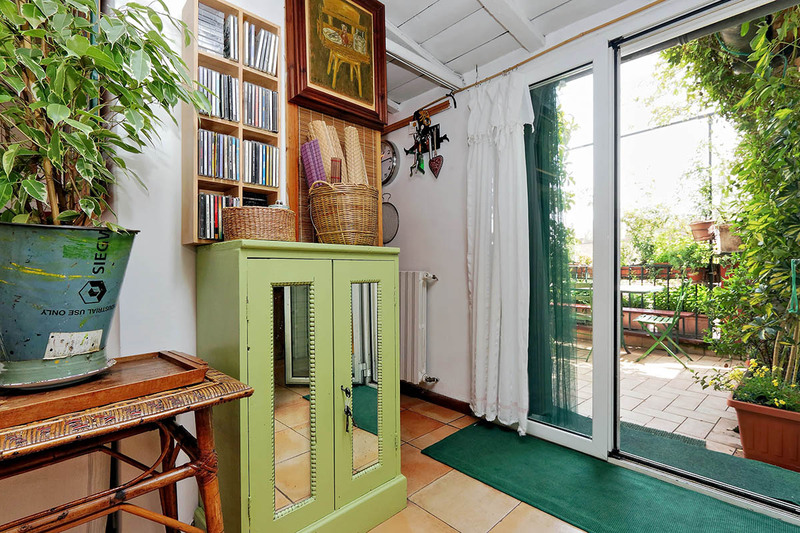 This apartment is in an extremely central location. 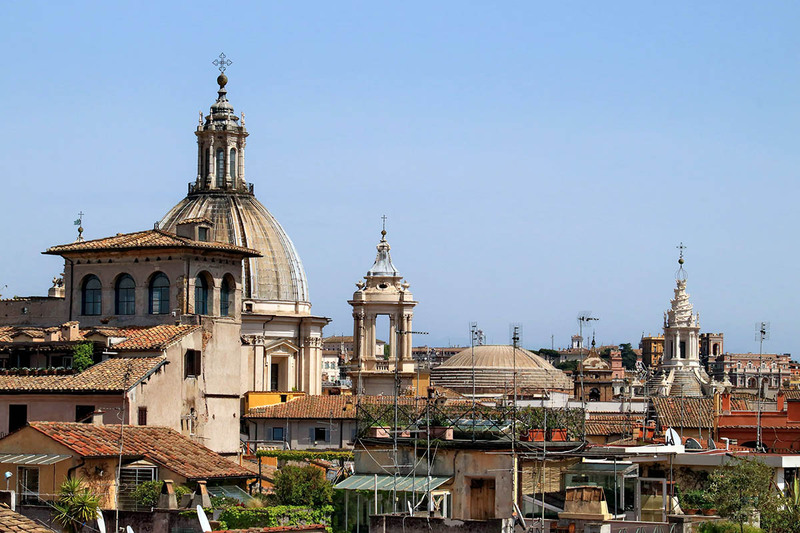 From the Navona area you can easily reach such sights as the Vatican, the Pantheon, Campo de’ Fiori, and the Trevi Fountain. 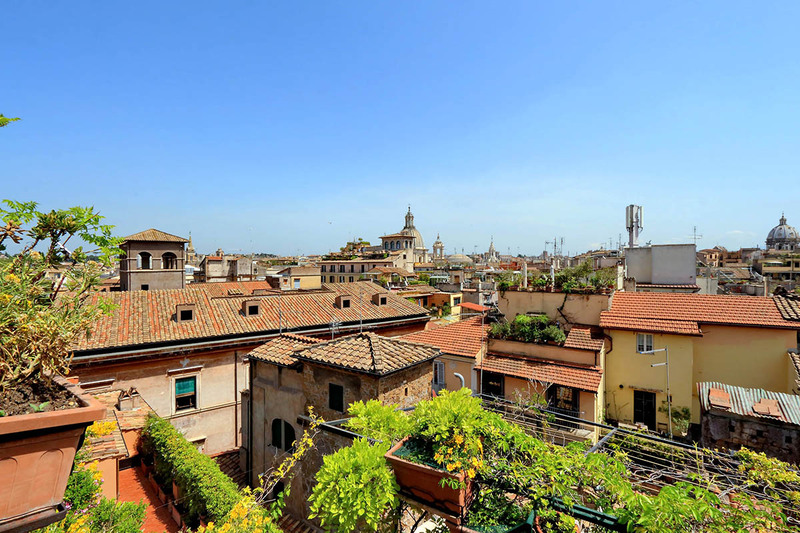 Moreover, the Piazza del Popolo and Villa Borghese are within walking distance. 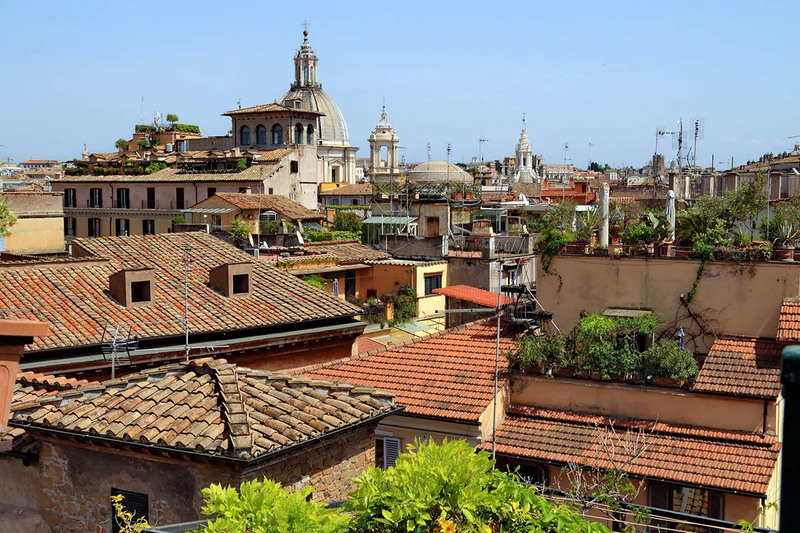 In addition to this, Navona is just minutes from Trastevere, on of Rome’s most characteristic districts. This is especially beautiful in the evenings. 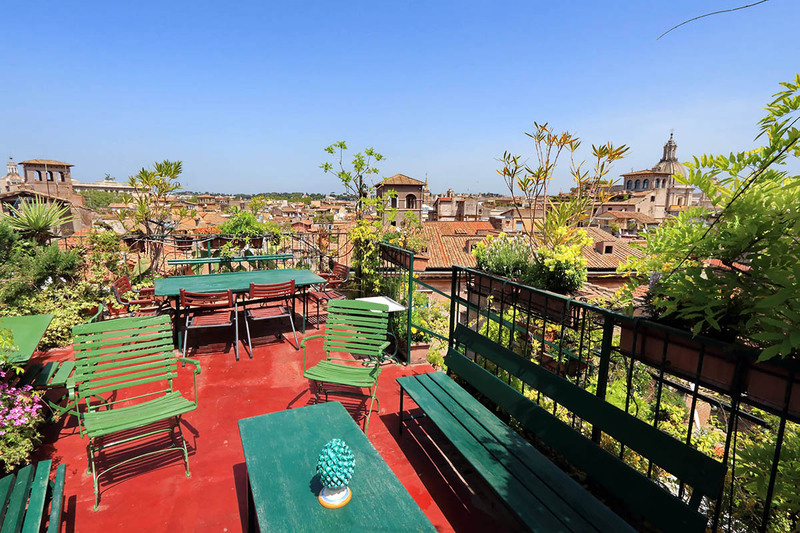 Here you can take an aperitivo in one of its many bars and watch the world go by. 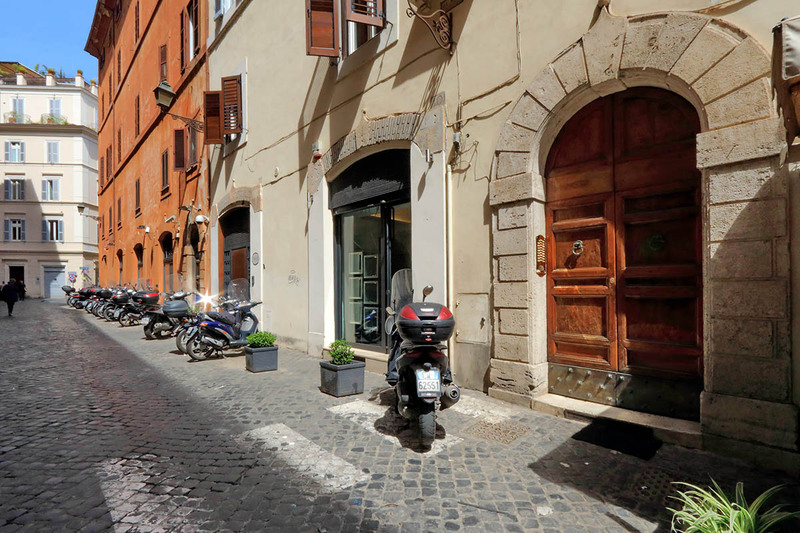 The Navona area itself also has many restaurants, bars, supermarkets, and pharmacies. 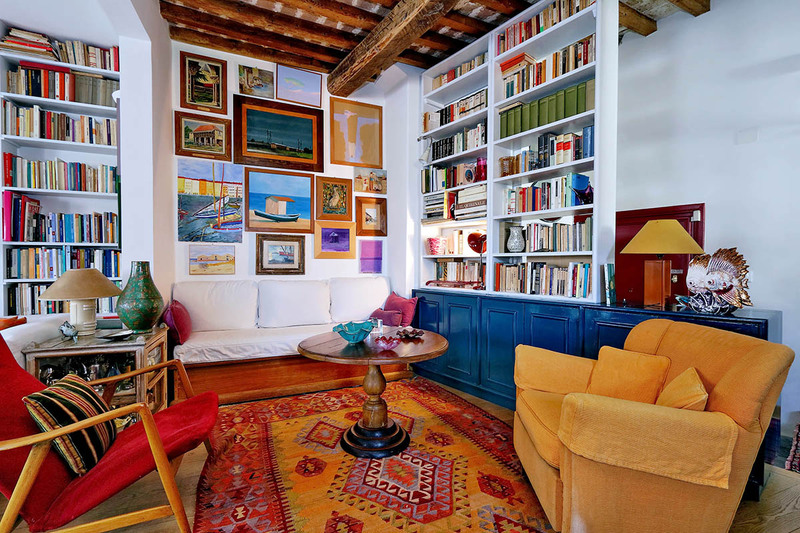 This makes it one of the easiest places to live in Rome. The Piazza Navona is always busy, and is very atmospheric in the evenings. Why not grab a gelato nearby and take it here to enjoy whilst people watching? 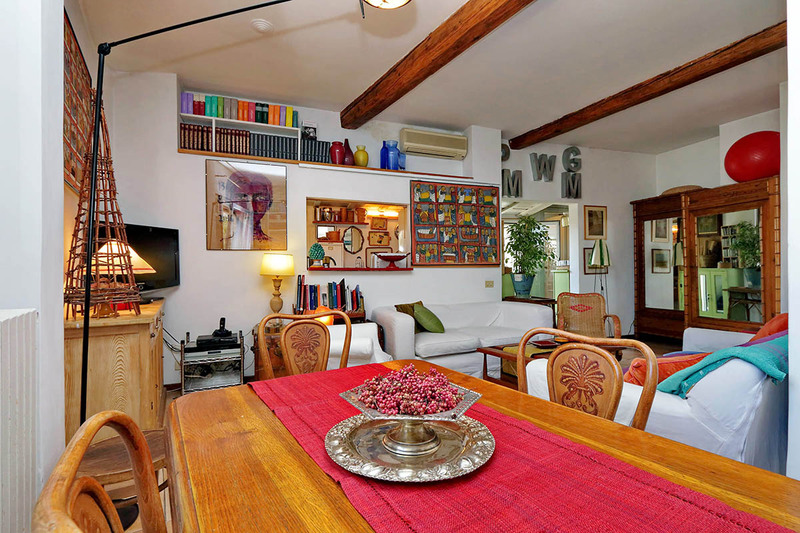 5 people are currently looking for apartments in Campo de Fiori area. Reserve yours now. 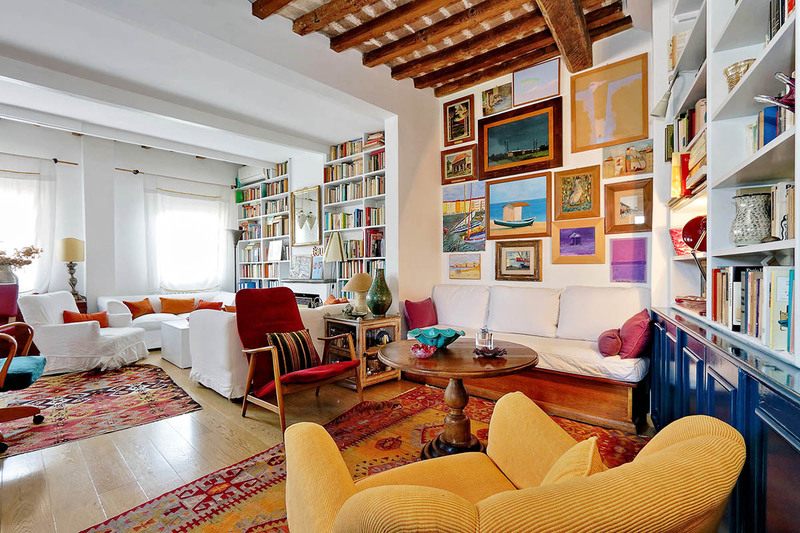 Rome Loft was very easy to work with both in booking apartment and hiring a driver to pick us up from train station and take us to the apt. 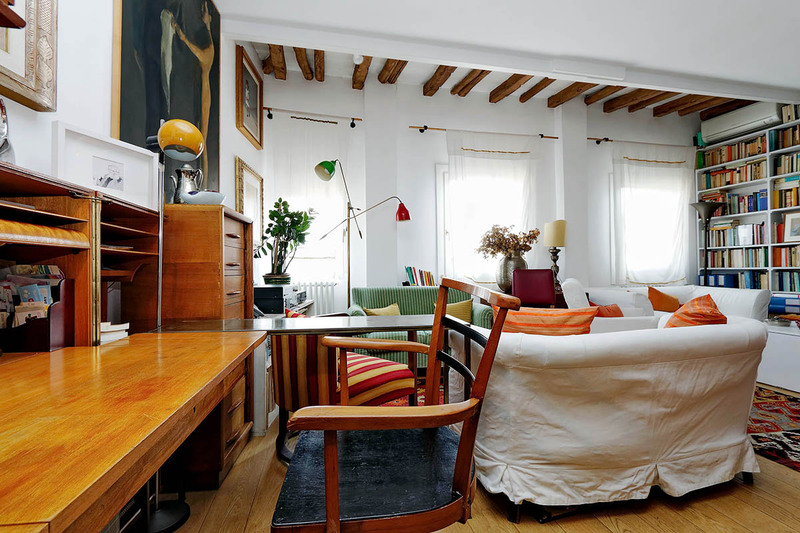 The apt we booked was fantastic. 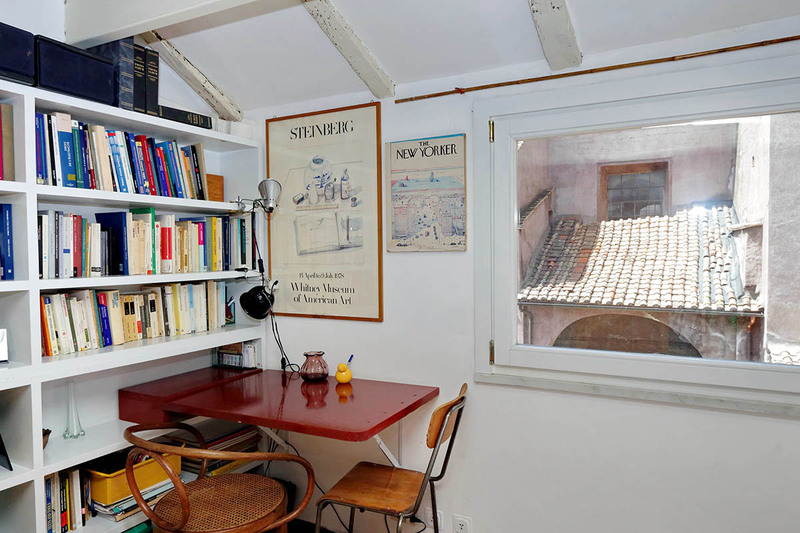 Exactly as advertised, great location near Piazza Navona, within walking distance to Forum and Colosseum, and right near a very convenient taxi stand. 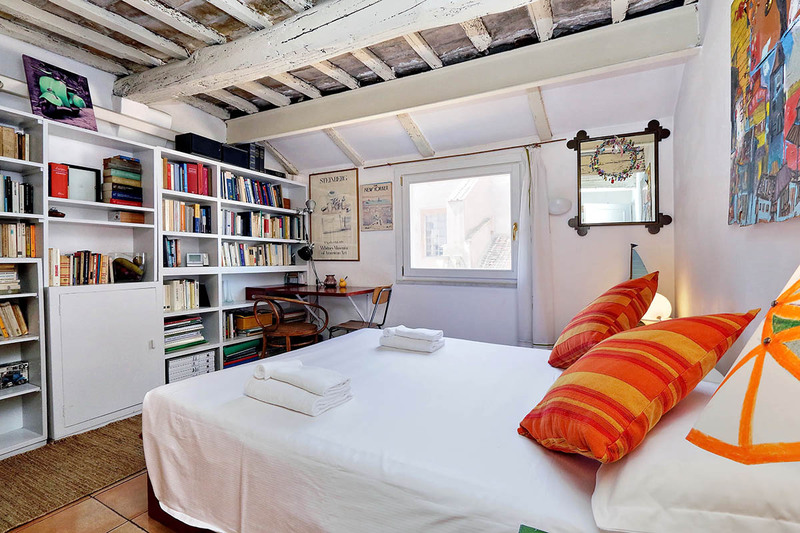 Lots of shopping, dinin...Read Moreg nearby, fabulous rooftop terrace, comfortable beds, great value. Highly recommend!